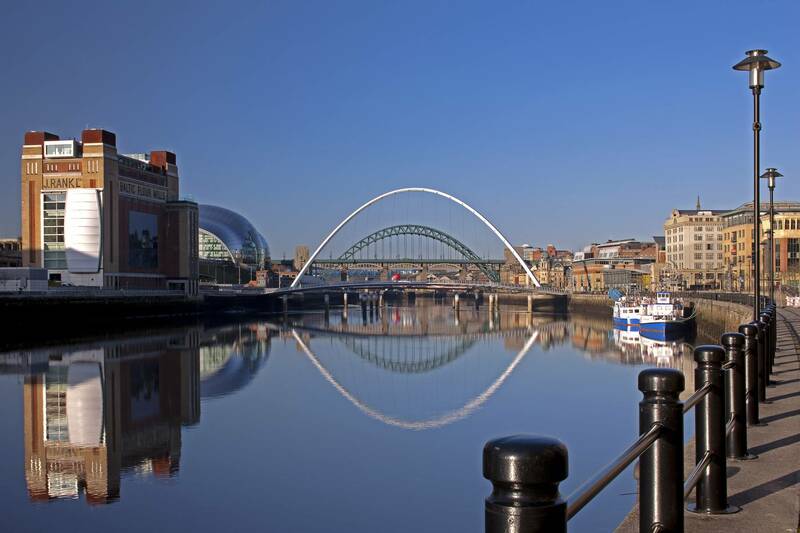 Wander down to the transformed waterfront, the Quayside, now lined with stylish hotels, designer bars, restaurants and public art. The Gateshead Millennium Bridge, which opens and closes like the blinking of an eye, a work of art in itself, arches across the Tyne to link the City to Gateshead Quays and the Baltic Centre for Contemporary Art. Whatever your age or interests Newcastle has it all - from museums to cathedrals, bars and restaurants to art galleries, shopping centres to theatre and much much more! Just wander around the city and the famous bridges and architecture will leave you spellbound. We do love our retail therapy here in North East England, and NewcastleGateshead caters for our every whim. A veritable shopper’s paradise, it offers a pleasing choice of shopping environments with giant covered malls such as Eldon Square, where you can find everything you need under one roof. The Georgian architecture and wide streets make shopping in the centre a real pleasure. There are plenty of designer boutiques stocking cutting-edge labels and colourful independent galleries and craft shops full of original artwork and handmade treasures. Theatre buffs can enjoy a huge variety of drama, comedy, music and dance in North East England. Newcastle’s Theatre Royal presents over 380 performances each year and is the regional home of the Royal Shakespeare Company – which stages a varied and exciting programme here every autumn – and also the National Theatre, Opera North and Rambert Dance Company. Newcastle’s Laing Art Gallery houses an impressive 18th and 19thC permanent collection which includes dynamic landscapes by John Martin and sculpture by Henry Moore. See a large-scale, interactive model of Hadrian's Wall, major new displays showing the wonder of the animal and plant kingdoms, spectacular objects from the Ancient Greeks and mummies from Ancient Egypt, a planetarium and a life-size T-Rex at Newcastle's Great North Museum. Seven Stories is where our rich heritage of children’s books is collected, celebrated and brought to life. With exhibitions, dressing up, storytelling and crafts, Seven Stories spells the perfect day out for all the family.